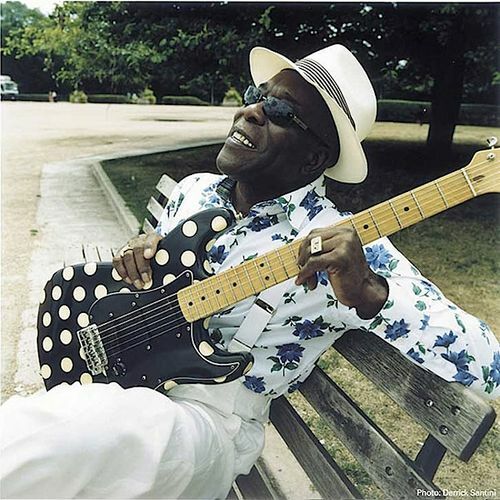 George "Buddy" Guy (born July 30, 1936) is an American blues guitarist and singer. Critically acclaimed, he is a pioneer of the Chicago blues sound and has served as an influence to some of the most notable musicians of his generation, including Eric Clapton, Jimi Hendrix and Stevie Ray Vaughan. In the 1960s Guy was a member of Muddy Waters' band and as a house guitarist at Chess Records. He can be heard on Howlin' Wolf's 'Killing Floor' and Koko Taylor's 'Wang Dang Doodle' as well as on his own Chess sides and the fine series of records he made with harmonica player Junior Wells.